At the pubcon.com search engine optimization conference last week, the conference organizers were kind enough to give us complimentary tickets to the Blue Man Group. The Blueman Group currently performs in Las Vegas at the Venetian hotel, which is one of the nicest hotels on the strip. This hotel has the most interactive water features of any Vegas hotel including canals, fountains, and pools with splashing water. It is really a tranquil place in the middle of 24 hour gambling chaos. Back to the Blue Man presentation – the best part of the evening was getting to meet the performers after the show. 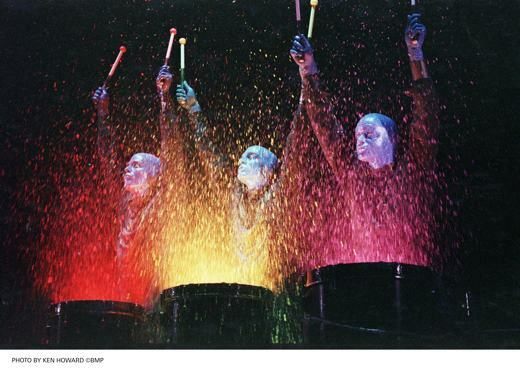 Talk about interactive – the 3 men were SOAKED with paint, food, glowing liquid and other remnants of the stage props. You have to respect them for getting so physically involved in each show. So go see the Blue Man Group, its a great show for kids over the age of 10 or so. Kids will love the messiness of the performance and all the flashing images. This is sort of like watching a live music video. Blue Man Group is best known for their wildly popular theatrical shows and concerts which combine music, comedy and multimedia theatrics to produce a totally unique form of entertainment. The blissful party atmosphere created at their live events has become the trademark of a Blue Man Group experience. Currently, their theatrical shows can be seen in New York, Boston, Chicago, Las Vegas, Berlin, Oberhausen, and Orlando. Blue Man Group’s newest theatre show will open in Tokyo on December 1, 2007. Blue Man Group’s satirical rock concert How To Be A Megastar has toured arenas in over 104 U.S. cities, and has played extensively in Mexico, Argentina, Brazil, and Chile. Megastar is currently back in the United States touring an additional 140 cities. The company has applied its unique creative process to a wide variety of projects, including the recording of three albums: the Grammy-nominated Audio, The Complex, and Live At The Venetian ® – Las Vegas (available exclusively on iTunes). Blue Man Group has ventured into toy development (with their Keyboard Experience and Percussion Tubes, produced by ToyQuest), fi lm and TV scoring (The Jury, Robots, and the upcoming Space Chimps), commercial campaigns, television programs (like Scrubs and Arrested Development), and a children’s museum exhibit, Making Waves, which is currently touring the U.S.A.
As the company grows, it remains true to its vision of providing exciting experiences in a variety of media, which appeal to a broad range of age groups and cultural backgrounds. 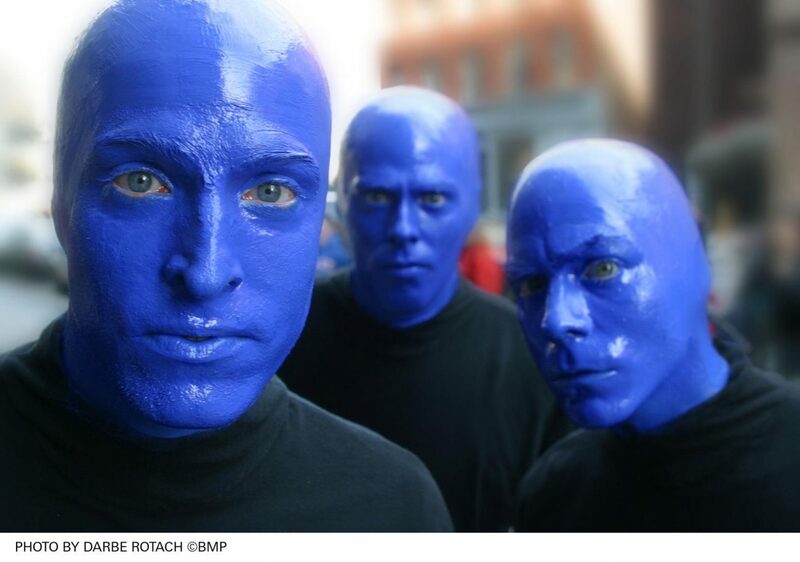 The rumor is that the Blue Man Group will start an affiliate program with partnerfusion.com in 2008 – sign me up please! I really adore the blue man group, and am happy they promoted this SEO conference. Search engine optimization needs a great search engine optimizer plan. Just one among these methods can make an enormous distinction in your sites place and company your website brings you. Nice read. Do you have any objections to me referencing you in an article on SEO in Las Vegas?